Everybody needs to sleep because sleep is essentials for our health and wellbeing. I need at least eight hours of sleep every night to feel well rested and great the next morning. But having a good (and long) night sleep is not only about going to bed early or getting up late. There are so many more factors that have an impact on your sleep every single night. Some of these factors are the bed itself as well as the mattress, the pillow and blanket. But probably the most important factor for a good night sleep is the mattress. I’ve slept on several mattresses (whenever I’m staying at a hotel) and often they’re not comfortable at all. Due to this uncomfortableness, I can barely sleep and feel everything but well rested the morning after. As you might know by now, today I want to talk about mattresses. But not about mattresses in general, but about one I received the other day from Leesa. I also want to share five tips for a better sleep, in general; that have nothing to do with your bed, mattress, pillow or blanket. Since sleep is so important for all of us, we should invest in the right products to improve the quality of our sleep. 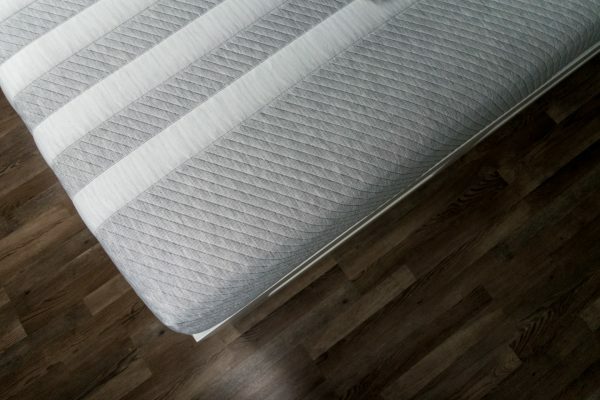 The mattress is probably the most important thing for a good sleep because the wrong mattress or simply an old mattress can cause a crick in your neck or low back pain. 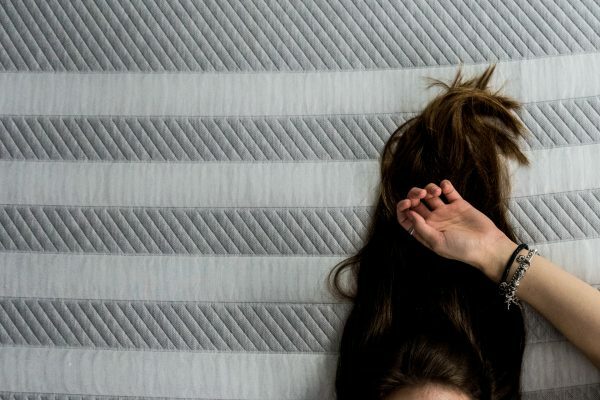 Studies show that you should change your mattress regularly. It depends on the quality of the mattress, but you can keep 5 to 14 years in mind. 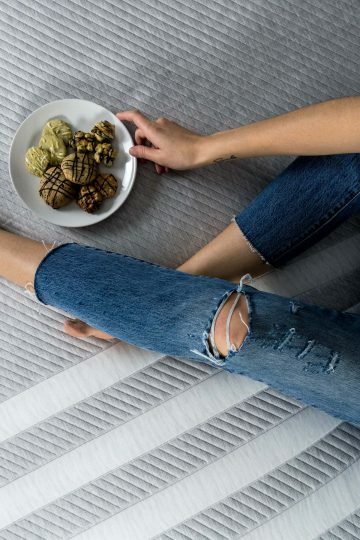 Don’t use your mattress longer than 14 years (and only 14 years if it’s a very high-quality mattress)! 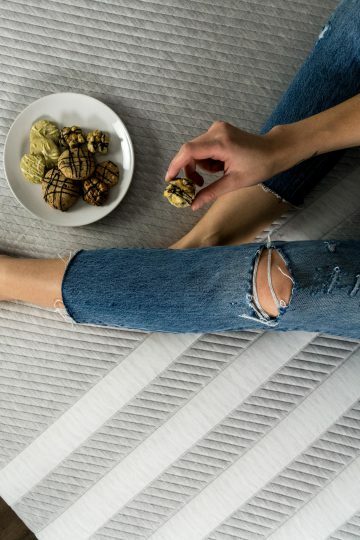 I had my old mattress for at least five years, so I was very happy to team up with Leesa to try on of their luxury mattresses and to see how it’ll improve my sleep. First of all, I really like the fact that one doesn’t have to visit a store to buy the Leesa mattresses. You can simply order them online, and they deliver them direct to your door. Of course, you can’t try it before it’s delivered. 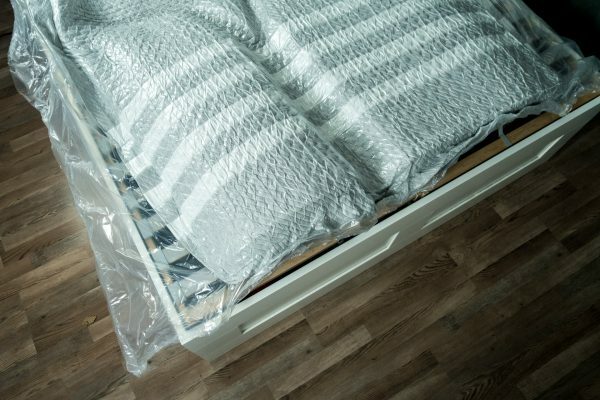 But that’s why you can try the mattress for 100 days, and if you’re not sleeping better within 100 days and you’re not satisfied, they can arrange for the mattress to be collected and donated to a chairt, and offer you a full refund. Of course, that you’re not happy with your Leesa mattress is something that shouldn’t happen. 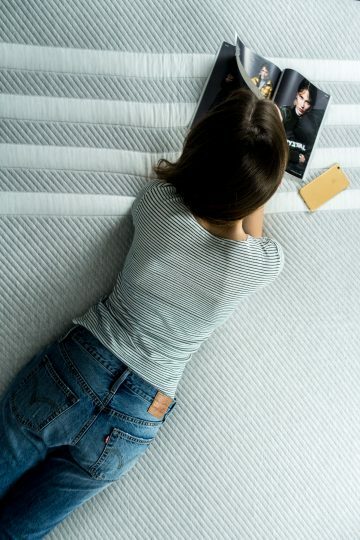 Leesa mattresses have three layers of foam that work together. These three layers allow airflow to keep you cool and adjust to your body to give you the best support and comfort at the same time. 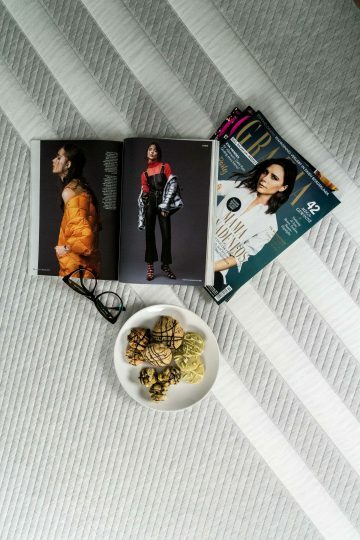 It’s a luxury mattress that offers premium quality without the premium price tag. But what I actually like best, is the fact that Leesa does not only donate any mattress people return within the 100 days period to a local charitable cause but also donate one mattress for every ten sold. 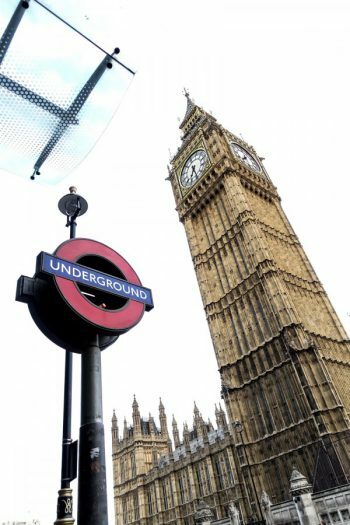 This is called the One–Ten programme. The also have the One Earth programme, which plants a tree for every mattress sold to help offset our carbon footprint. 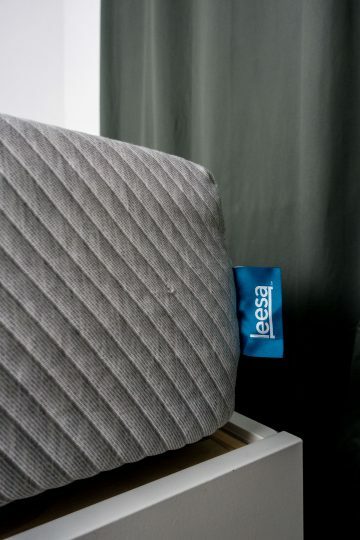 You see, buying a Leesa mattress is not only buying one ordinary mattress. It’s so much more: you get it delivered to your home in a package that’s only 110cm x 40cm x 40cm. I couldn’t believe it myself until it was delivered, but it really is that small! It’s a little bit heavy but super easy to transport. You can see in the pictures what it looks like inside the package and, of course, outside. Additionally, you can do good by buying a Leesa mattress, and it’s always great to give something back or do good, isn’t it? Guten Tag liebe Mitleser, vielen Dank für diesen informativen Beitrag. Ich finde, dass ein ruhiger und vor allem guter Schlaf sehr wichtig ist, damit man am nächsten Tag in Topform ist. Da meine jetzige Matratze sehr durchgelegen ist, muss ich mir demnächst eine neue kaufen und bin zurzeit dabei, mich im Internet darüber zu informieren. Dabei bin ich auf eine Seite gestoßen, die die Matratzen verschickt, damit man sich testen kann und im Zweifelsfall wieder zurückschicken kann.